Your perfect meeting starts in Greater Palm Springs. With incredible outdoor venues, unique group activities and year-round sunshine, this modern meetings oasis offers everything you need to plan an unforgettable event for your attendees. Our Greater Palm Springs meetings and events blog is a great resource to start planning your next event. Want to learn more about our venue options? You’ll find information on the best venues for your event, whether you’re planning an annual business conference and need a large hotel or convention center or you’re looking for a more intimate outdoor venue for a health and wellness-themed retreat. Curious about what attractions and activities our destination offers for your attendees? You’ll find plenty of information on our blog about Greater Palm Springs’ group activities, such as unique offsite adventures that connect your group with this oasis’ natural beauty and inspiration for out-of-the-box breaks. You’ll also find fun and unique activity ideas for families traveling with your attendees. Plus, our meetings blog keeps planners in the know with insider tips for planning your next event and testimonials directly from fellow meeting planners. Interested in learning more? Scroll down to discover more on our meetings blog about planning the perfect Greater Palm Springs event or connect with our sales team directly by submitting your RFP today. Surrounded by majestic mountains and stunning natural views in all directions, having more than 300 days of sunshine each year, and featuring an international, open-air airport, Greater Palm Springs invites meeting attendees to arrive stress-free, feel inspired and get rejuvenated during their time in this Southern California oasis. From its unforgettable resorts and gorgeous outdoor venues to vast undeveloped natural landscapes, the destination beckons attendees to meet outdoors all times of the year and break away from the stereotypical business trip. Here, work is redefined. 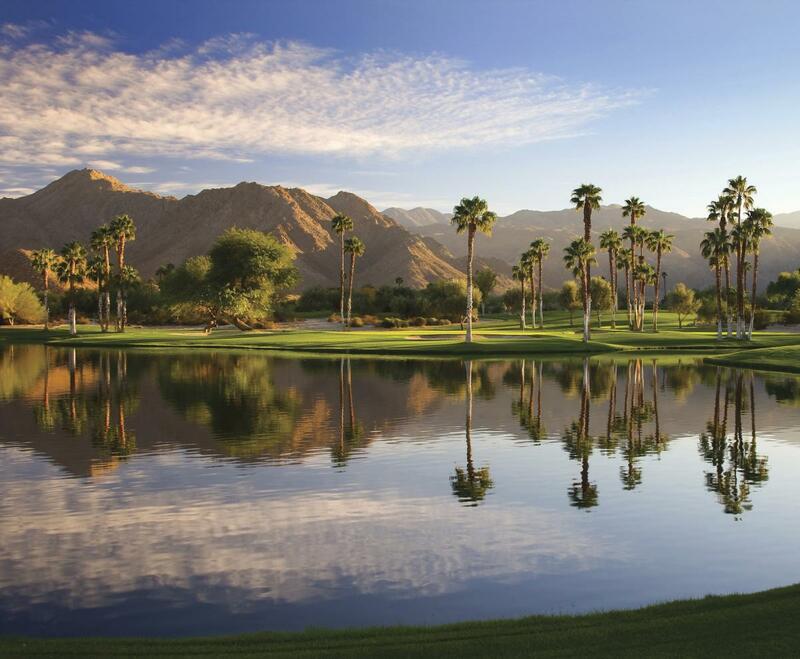 Read on to find out how Greater Palm Springs is a perfect fit for your next meeting. 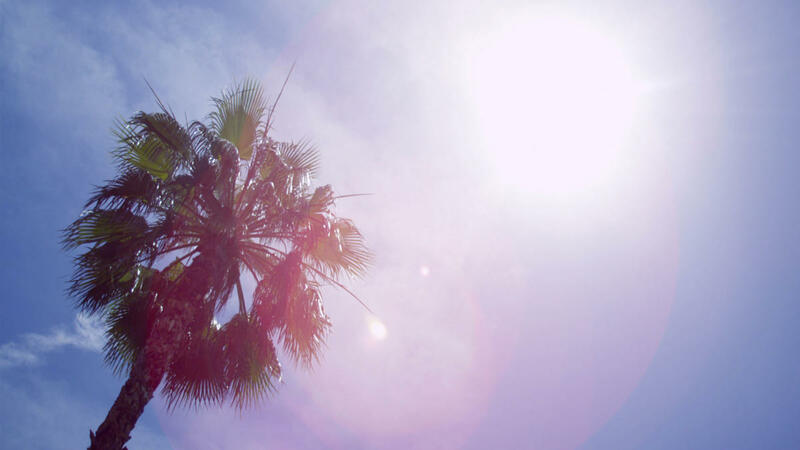 Home to approximately 10,000 palm trees, including California’s largest oasis of indigenous California fan palm, Greater Palm Springs averages 5.5 inches of total rainfall each year. With little rainfall, the destination is popular with meeting planners for its spacious outdoor venues and breathtaking scenery throughout its nine cities. With unique outdoor venues ranging from breakout sessions by a sparkling poolside to board meetings under stately palms, the setting and climate in Greater Palm Springs maximizes the potential for time outdoors. Let the area’s natural beauty serve as a backdrop and create a unique event at a venue that’s perfect for your attendees. Have dinner under the stars or set out for the mountains; you’ll discover a variety of places to hold a meeting and have fun, too. Whether it’s an entire meeting outdoors or breaks that are perfectly designed to enhance the meeting experience, it’s not just possible to balance a busy agenda with mental recharging in Greater Palm Springs, it’s a guarantee. Plan your next meeting with ease and numerous flight options as new airline carriers are now servicing Palm Springs International Airport (PSP). To meet the demands of travelers, the airport has 10 airlines flying nonstop to PSP from 21 North American destinations and connecting from more than 500 destinations worldwide. Open-air, and without the usual airport traffic congestion or long lines, arrival in PSP sets the tone for a pleasant, inspiring and productive meeting. For travelers needing access to other Southern California airport destinations, there are four major airports within a two-hour drive of Greater Palm Springs. Ontario International Airport is only one hour away, and attendees can access the airport with nonstop commercial jet service and service to 18 major airports in the U.S., Mexico and Taiwan. Treat your attendees to one of Greater Palms Springs’ unique venues for your next event. No matter what your meeting need, from a cocktail reception to teambuilding activity to networking event, there’s a perfect venue at the ready. Trilogy at The Polo Club, near La Quinta and Indio, is home to a 25,000+-square-foot venue with a variety of event locations and meeting spaces for you to host an event of your dreams. With views of the Santa Rosa Mountains to the southwest and the Chocolate Mountains to the north, the club also features dining options at June Hill’s Table and the 2 Palms Event Center—offering private dining options and catering. At the historic La Quinta Resort & Club, which has been a luxury destination since the early 1900s, attendees will enjoy meeting in the outdoors on the property’s 45 acres of vibrantly colored gardens and pathways against a backdrop of stunning mountain views. In all, the resort features over 190,000 square feet of indoor and outdoor meeting space along with 41 pools, 5 top-rated championship golf courses, 23 tennis courts and the stand-alone Spa La Quinta. When it’s time for team-building, create a custom event for your corporate meeting at the BMW Performance West, which hosts corporate group events and multiple driving experiences daily. Or impress your guests at The Living Desert Zoo & Gardens and work alongside its expert events team to host a magical and unforgettable event. In Greater Palm Springs, you’ll find legendary hot springs, traditional and innovative yoga classes, luxurious spas and more nestled into its serene communities. Attendees can choose from a variety of spa resorts and retreats to rejuvenate and unwind after a long day of meetings. Attendees can escape from the everyday rush of work life back home and experience a desert-centric spa treatment with clay, dates and citrus at Spa Desert Springs at JW Marriott Desert Springs Resort & Spa. The Spa at Westin Mission Hills cultivates its own bee colony and incorporates the honey and beeswax it sustainably harvests into treatments to rebalance the body’s energies. Want to connect with your inner self? Visit Ruth Hardy Park in Palm Springs, where instructors from Power Yoga Palm Springs lead hourlong Power Yoga classes every Saturday morning. At Two Bunch Palms, reserve a class time and learn the art of yoga in their passive solar earth mound yoga dome, then take a mindful meander through the carbon-neutral resort’s stone labyrinth. If anyone in your group craves the adventures of the outdoors, they’ll find plenty of fun activities to choose from in Greater Palm Springs. Go hiking in the lush Indian Canyons, where they’ll find waterfalls, jagged cliffs and indigenous palm trees — just be sure to stay off the sacred stone formations. Squeeze in a workout at The Bump and Grind Trail in Palm Desert, which features a climb of 1,000 feet along 3.1 miles of spectacular views and overlooks along the way. From a leisurely bike ride around town to exploring the mountainsides, there’s also a variety of cycling options for bikers. Experience a fully guided tour with Big Wheel Tours on its twice-daily Earthquake Canyon tour and get an intimate look at the area’s geological formations. And if you need to rent a bike—no worries! There are numerous bike rental companies throughout the destination. Bike Palm Springs Rentals & Tours offers rentals for all ages, including helmets, free maps and even electric bikes. Treat your attendees to a special adventure in a hot-air balloon ride above Palm Springs for a morning ride to see the sunrise and celebrate the end of your meeting among the mountains; take them on an adrenaline-fueled lap around the racetrack at the BMW Performance Center West; or conquer the San Andreas Fault by jeep. The choices are as endless as the year-round blue skies. 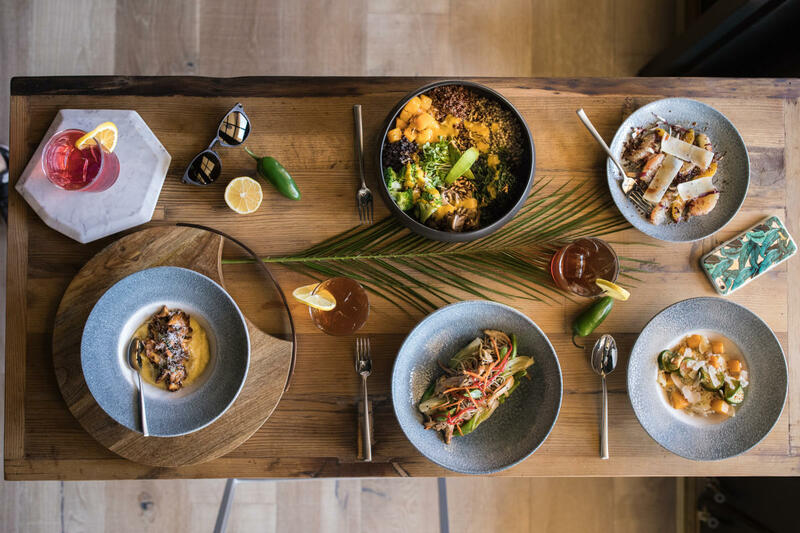 With a 300-day growing season, Greater Palm Springs is an oasis full of local produce and is home to several renowned chefs. Date gardens, vegetables and citrus groves make up the majority of Greater Palm Springs&apos; agricultural industry, and you’ll find plenty of unique and healthy dishes that allow these local favorites to shine. From juice bars and date shakes to high-end farm-to-table cuisine, there’s a wide variety of personalized culinary options your venue of choice can provide. For a once-in-a-lifetime dining experience, look no further than the top of the San Jacinto Mountains, where you arrive via the Palm Springs Aerial Tramway. Host a banquet for up to 275 guests with breathtaking views at 8,516 feet, overlooking Greater Palm Springs below. It’s as locally-sourced as it gets at the Miramonte Indian Wells Resort & Spa, where onsite herb gardens provide fresh flavors for a variety of dishes as well as cocktails. Your attendees will love knowing that their meals are not only delicious but are also made with sustainability and the environment in mind. Ready to bring your next event to Greater Palm Springs? The Greater Palm Springs Convention & Visitors Bureau can help create an unforgettable meeting for your attendees. Submit an RFP and let the expert staff get to work matching you with venues and accommodations to fit your needs and budget. For planners who’d like to visit, it’s as easy as signing up for the Greater Palm Springs Convention and Visitors Bureau’s siteFLIGHT or siteDRIVE programs. Assisting valued meeting planners with their visit, siteFLIGHT and siteDRIVE provide access to experiencing all that Greater Palm Springs has to offer, with round-trip air or gasoline costs and accommodations (based on availability) covered. From coordinating the logistics of an off-site event to helping set up or suggest the perfect teambuilding activities and group dinners for your group, the sales team can assist in managing proposals and streamlining the decision-making process for you. Make your next event a success and leave your attendees inspired—all right here in Greater Palm Springs.